How to Save on Meat? Chop It Up -- Yourself! 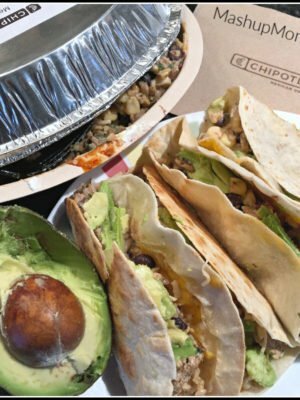 How to Save on Meat? Chop It Up — Yourself! I love these emailed grocery receipts from my local Jewel because they really drive home what you spend if you just buy meat (or, really, most items) at “regular price” without paying attention to sales cycles. 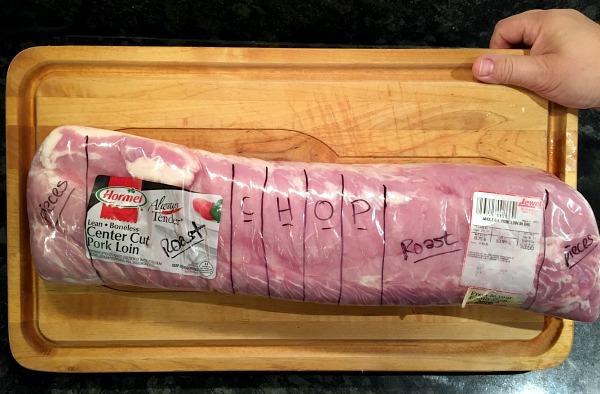 Last weekend, for instance, they had half boneless center cut pork loins on sale for $.99/lb — and if you do the math on the receipt above, the everyday price is a whopping $4.99/lb. 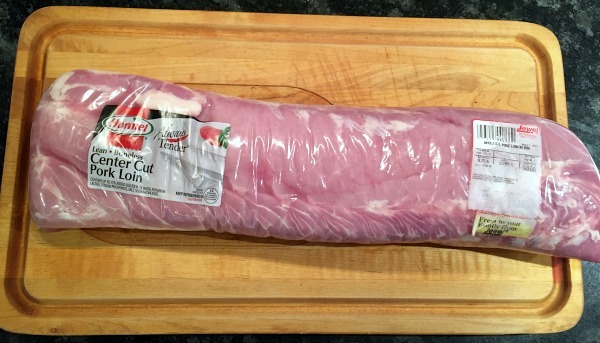 Sure, some cut of pork or other is always on sale, but you really realize how much that is when you look at a large cut of meat rather than one of the smaller packs you might impulse buy to cook up for dinner the same night. At $.99/lb, you can bet I brought home one of these. 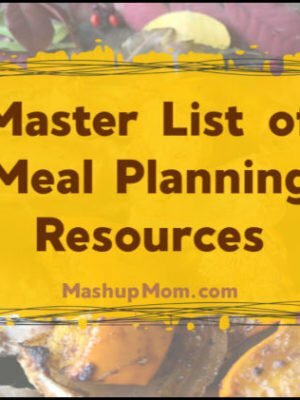 I’ve heard some of you comment in the past that you don’t buy the large cuts of meat on these sales because you don’t need that much meat, or because you don’t know what to do with them. Well, the next time you see a sale like this, jump on it — because here’s exactly what you do with one of these! Think about the types of meals your future self might want to cook with pork. 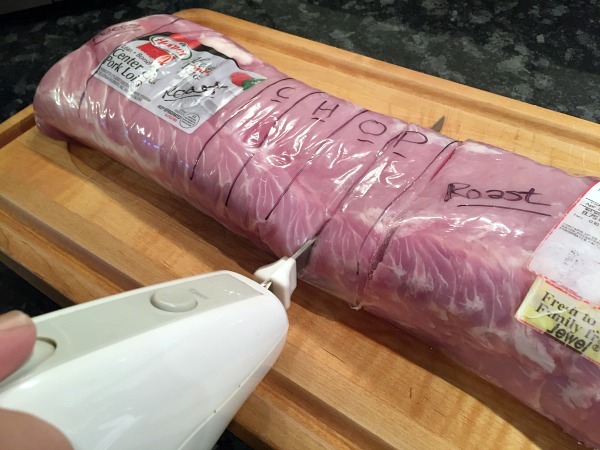 Does your family like pork roast? Do you grill up pork chops? Does a pork stew sound tasty? Then, just grab yourself a sharp sharp knife and get to chopping! (MashupDad here used an electric knife to cut through the plastic, and a large chef’s knife to separate the pieces the rest of the way.) Yes, he is literally chopping himself some pork chops! Ten minutes and four freezer bags later, we had ourselves four perfectly portioned out packs of meat, each running a little over two pounds. That’s four hearty meals at just $2.17 a bag — and each of these bags ran less than thick cut boneless pork loin chops, stew meat, or pork loin roast generally would have cost us, even on sale. They’re all now nestled nicely in the freezer for use in future dinners. Don’t be deterred by the amount of meat you have to purchase at once with one of these large roasts: Just envision multiple meal possibilities, and chop it up into smaller meal-sized packages as soon as you get home. 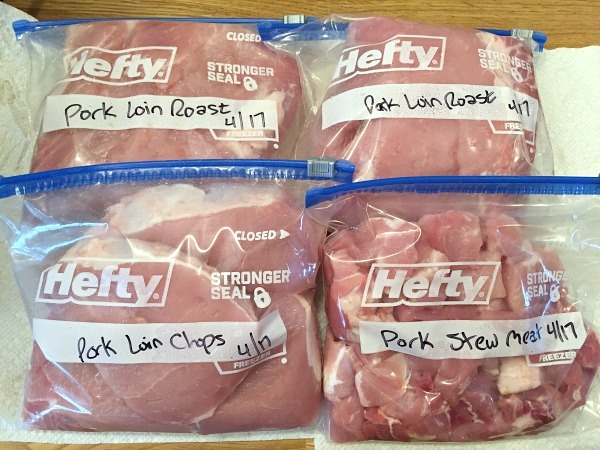 Even if you’re cooking for one or two people instead of a larger family, an 8 pound pork loin divides just as well into eight 1-lb freezer bags — giving you over a week’s worth of meals from one large purchase. 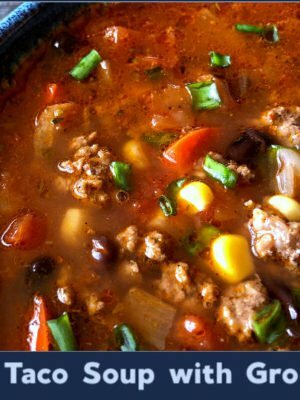 Stock your freezer and save! What are some of your best tips for how to save on meat? Love buying meat in bulk!!! I like the pork loin you bought here but I LOVE the “tenderloin” which will be on a 3 day sale for $1.99 lb. at Jewel starting Sunday. I also have $1/1 Hormel always tender cpn. clipped to MyMixx which expires on SUNDAY! We will be eating that one right away and it is so tiny there is nothing left to freeze! 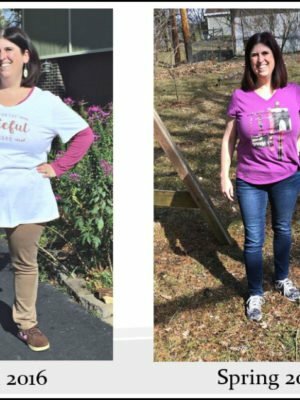 Rachel, that is a perfect visual of how to buy large cuts of meat and save money! You make things so easy to understand. I do that all the time. In fact, I bought a huge eye of the round not too long ago when it was on sale at Jewel, and I need to cook that. I am not as good at cooking beef as I am making pork. I am a little intimidated with the eye of the round. Wish me luck! Where has this site been all my life? I love this!